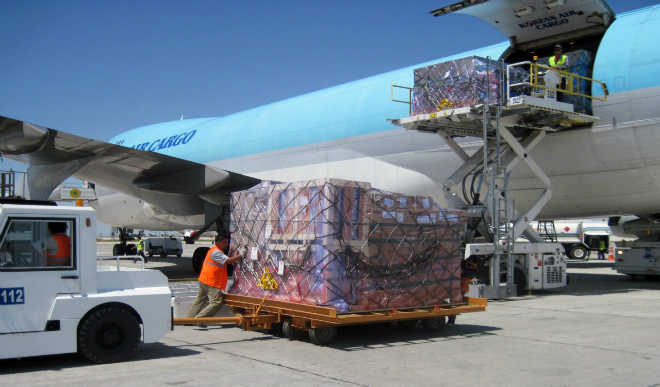 Investors have concluded transfer of about 16.75 per cent equity stakes in Nigerian Aviation Handling Company (Nahco) Plc, raising possibility of changes in the shareholding structure of the ground handling company. Three deals were struck to complete major transfers that started with a cross deal on Thursday, bringing total transactions through the negotiated window of the Nigerian Stock Exchange (NSE) to 271.848 million shares valued at N1.787 billion in four deals. All the deals were cross deals and were consummated through the negotiated window of the Exchange. On Friday, a total of 119.92 million shares valued at N875.42 million were swapped at N7.30 per share. Also, a total of 5.62 million shares valued at N33.73 million were also crossed at N6 while another 22.69 million shares worth N136.134 million were exchanged in a deal at N6 per share. A deal had been struck for 123.64 million shares valued at N741.83 million at N6 per share on Thursday. As off-market, negotiated cross deals, it means that the deals were not subjected to the dynamics of price discovery for the particular period. Off-market trade implied that the deal was sealed outside the floor of the NSE. The negotiated cross deal platform of the Exchange is a special-purpose trading platform that is meant for voluminous transaction. By the cross deal, it implies that the buyer and the seller had been prearranged and the transfer at the stock market was a mere perfection of the agreement between the two. The negotiated cross deal allows the parties to the deal to close the deal at reduced cost. Interim report and accounts of Nahco for the first quarter ended March 31, 2018 had indicated that the company started the 2018 business year on a strong footing. Turnover rose to N2.188 billion in first quarter 2018 as against N1.786 billion in the corresponding period of 2017. Finance income improved from N30.916 million to N64.495 million while the company was able to reduce finance cost to N44.536 million as against N55.715 million in first quarter 2017. With these, profit before tax jumped to N117.405 million in first quarter 2018 compared with N1.026 million in first quarter 2017 while profit after tax leapt from N1.026 million in first quarter 2017 to N97.566 million in first quarter 2018. Key extracts of the audited report and accounts of Nahco for the year ended December 31, 2017 had shown improved margins, despite a lull in the top-line. Turnover stood at N7.926 billion in 2017 compared with N7.956 billion in 2016. Finance cost reduced from N545 million in 2016 to N213 million in 2017. Profit after tax increased by 33.6 per cent to N776 million in 2017 as against N581 million in 2016. Earnings per share improved from 36 kobo to 48 kobo. The first quarter of the year results were the first full-quarter results produced by Mr Idris Yakubu, who took over as the Managing Director of the company last November. The company had its dividend payout by 13.6 per cent to N406 million. Shareholders received a dividend per share of 25 kobo for the 2017 business year as against 22 kobo paid for the previous year. Be the first to comment on "New Major Investors Acquire 16.75% Stake in Nahco"